It’s worth to refresh all our favourite things when they get dirty. How about doing the laundry? Get dirty clothes, teddy bears and socks ready. 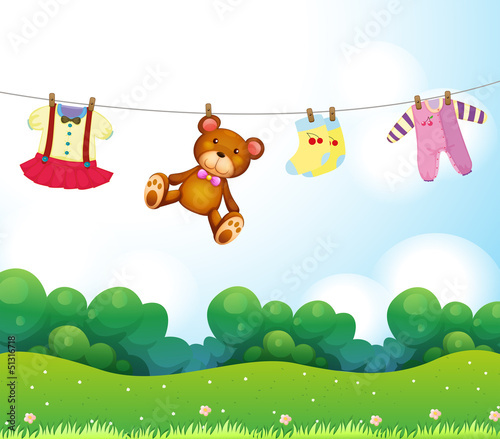 It’s time to hang them on a clothes line. Let them dry and overflow our hearts with joy. A perfect photo wallpaper for a child’s room. We will create a joyful and fresh atmosphere thanks to it.